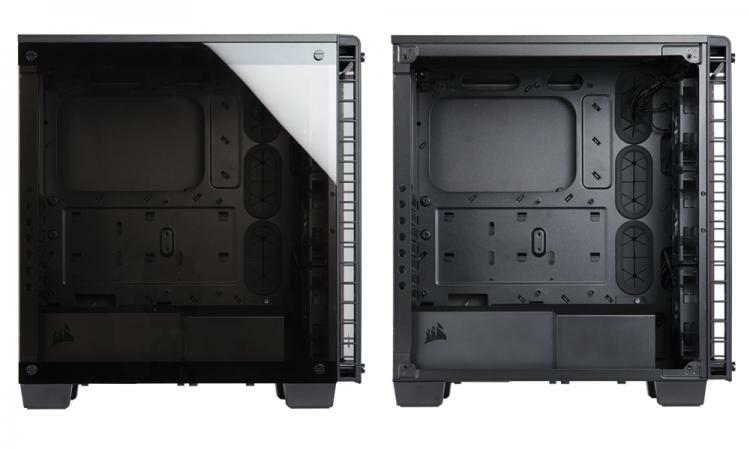 Corsair launches three stunning cases under the Carbide and Crystal series. The Corsair Crystal Series 570X RGB and 460X RGB features RGB illumination and tempered glass side panels ideal for enthusiasts and gamers. Then there’s the Carbide Series 270R which features a sleek minimalistic design with a spacious and smart internal layout making it easy to build and install. 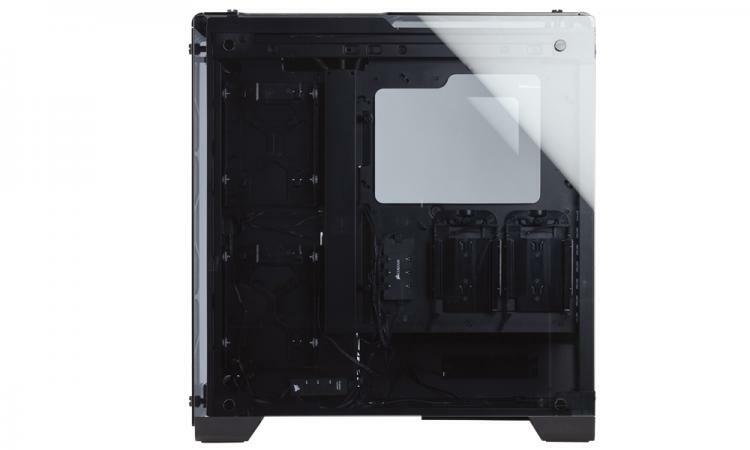 The Corsair Crystal 570X RGB series case feature four individual tempered glass panels – one on top, front and on each side of the Crystal 570X RGB case. It comes with three pre-installed Corsair SP120 RGB 120mm cooling fans which users can control and configure in terms of the lighting effects and colors through the front panel lighting controls. Given the visibility featured in the case, the cable routing has a unique and smart layout to it to ensure that your prized components are showcased the most and not the cables. The Crystal 570X RGB can house up to six cooling fans into the removable fan tray for easy installation and cleaning. - Four-panel tempered glass panels. - Three included SP120 RGB LED fans with built-in three-button controller. 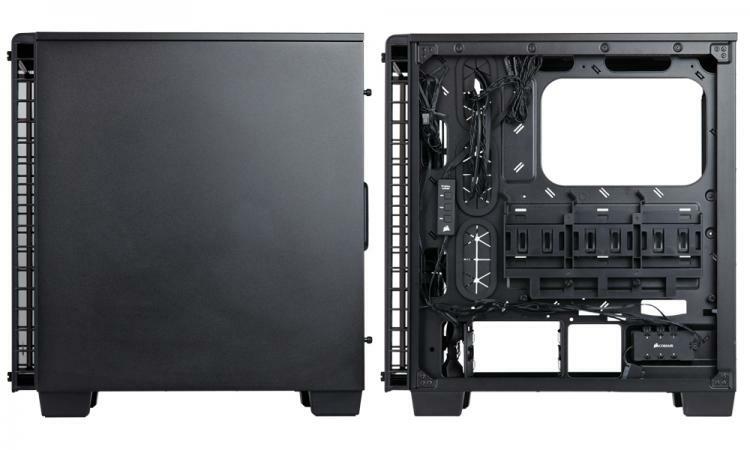 - Removable fan trays in the front and top of the chassis for easy installation. - Dedicated cable routing channels and covers with included cable straps for clean cable management. - Easy-access high-speed USB 3.0 front panel. 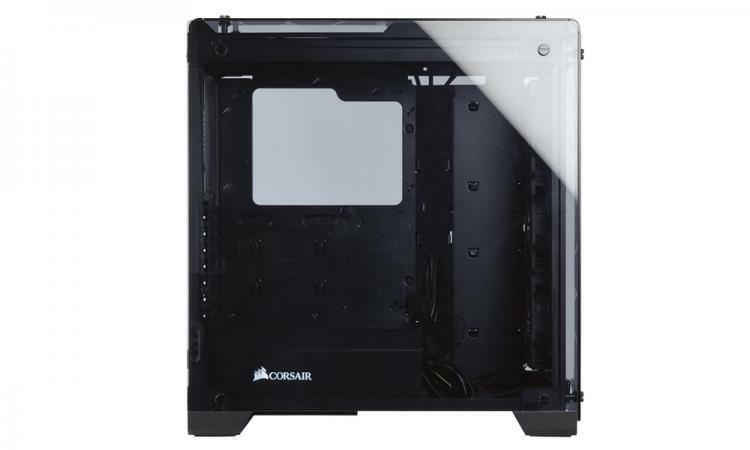 - Bright backlit CORSAIR logo on front panel and PSU cover. 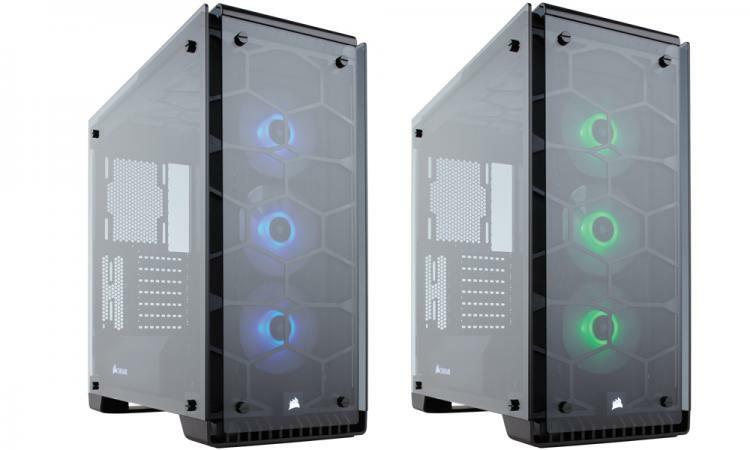 The Corsair Crystal 460X RGB case packs the same looks and style like its bigger brother Crystal 570X with a little less touch of glass having the tempered glass panels in front and on the business side only. 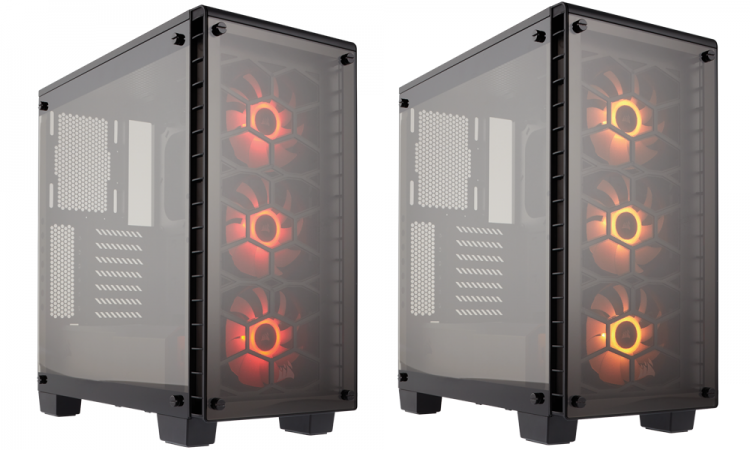 It is also fitted with three Corsair SP120 RGB 120mm cooling fans with the same customization and lighting effect options which can be controlled through the front panel lighting controls. Routing cables are also smartly designed and layout to be hidden from view and showcase the hardware inside. - Two panel tempered glass panels. - Direct Airflow cooling layout. - Modular PSU and drive bay covers. - Also available without RGB lighting as the CORSAIR Crystal Series 470X. 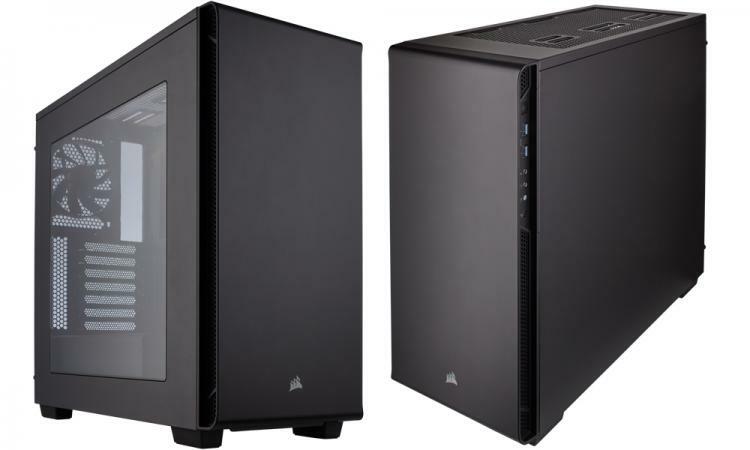 The Corsair Carbide Series 270R offers the essentials of any high-end PC case with a sleek and solid design. It offers a spacious internal layout and plenty of cooling support. It is available in two variants, one with an acrylic window side panel and one with a solid side panel. The Carbide 270R comes with a pre-installed AF120 120mm RED-led intake fan in the front and a black AF120 120mm cooling fan in the rear. It can mount up to a 360mm radiator in front and up to 240mm radiator on top to cover complex custom liquid cooling setups. - Builder-friendly with simple and intuitive internal layout. - Versatile cooling options with space for multiple radiator configurations. - Clean and minimalist exterior design. - 270R Windowed includes 1x red-LED lit AF120 120mm intake fan and 1x black AF120 120mm exhaust fan. - 270R Non-Windowed includes 1x black AF120 120mm exhaust fan. - Built-in cable routing compartments enables clean builds. - Direct Airflow Path provides airflow to the hottest components.